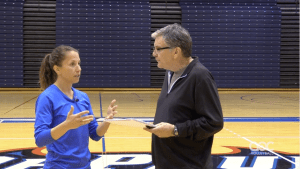 To achieve “sustainable excellence,” DePaul coach Marie Zidek created short- and long-term goals. 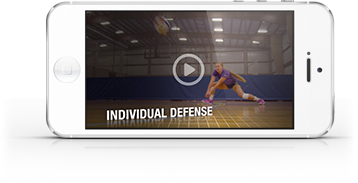 Zidek’s strategy includes building personal accountability for each of her athletes. Are they eating correctly? What are the skills they need to focus on? How are they managing their school and sports schedule? After defining those controllable goals, Zidek broadens her goals to performance-based criteria like conference play, NCAA championships, and home games vs. away games. Creating what she calls a “roadmap to success” allows her athletes to visualize the stepping stones to achieve greatness. She also carefully planned non-conference matches against schools that play a similar style of volleyball to teams DePaul would face in conference to prepare her team for competition.